the nytpicker: Gay Talese, Blogger, Posts An Item About Beggars On City Room Blog. No Surprise, It's Pretty Good. 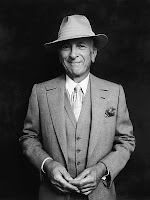 Gay Talese, Blogger, Posts An Item About Beggars On City Room Blog. No Surprise, It's Pretty Good. Gay Talese -- the former NYT reporter, author of several brilliant books, winner of a George Polk career achievement award (just yesterday!) and famously resistant to most forms of modern technology -- has just written what may well be the first blog post of his career, for the NYT's City Room blog. The next day, on Sunday, and during the Monday holiday as well, I handed out these boarded messages at random to people who approached me for money, explaining why I thought their economy would be stimulated by my street signs. I further pointed out that the big bankers and industrial leaders the government was bailing out had lobbyists and public relations companies doing their bidding; but these wandering men who were seeking handouts in the street had to tap into the topicality of their plight, had to link themselves into the headlines and the top priority of President Obama. Stimulus, stimulus!! Of course it is; Gay Talese wrote it! Maybe the man who still -- at last report -- communicated with the outside world only by phone, mail and fax will now embrace the blogosphere. What a crazy new chapter for an amazing NYT career that began when Talese was hired as a metro reporter in 1956.